Isn't this a beautiful picture? And so well timed. I have no clue who took this shot, we got it by e-mail. It's what I call being at the right place, at the right time. Another thing that struck me was the expression of it. 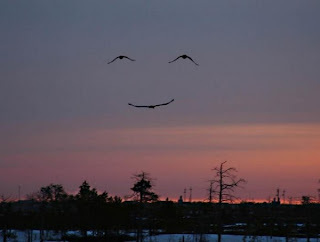 That "happy face" looks up with such gratitude, peace and love. Almost like it's about to whisper: "Thank You, Father!" Yes, Thank You, Father! For all the blessings You have and are giving us. For watching over each one of us. For always being there for and with us. To You be the glory! Thank you so much for the nice card. I sent you a thank you email card but I don't think I succeeded in it arriving! PS..I see that you have a real nice picture of that Jel here! Our own little sunshine she is with her fly by hugs, eh Corry? That smiling picture when you look deep into it you can really imagine the Smiling Face Of Our Master ! i imagined myself having so many problems then i'd see this... it's like God saying, "it's okay, daughter. you'll be fine. i'm here with you." Have a very blessed day ahead, filled with pleasant surprises and warm love. I had no clue this was one of Jel's pics. We got it by e-mail and there was no mention of who took this shot. Which reminds me to go by Jel's blog and give her a hug. I always love to see her fly by, hehe. Keeping you and yours and especially your Dad in my prayers! Yeah, it's such a beautiful pic. God is smiling upon us! We are so loved! Have a very blessed day, Grandpaw. And He is. Isn't that a comforting, peaceful and reassuring knowledge?! Have a very blessed day as well, Lieve Zus. that's not my picture? I think a man took the shot! it has been all over the web! I'll post the photo of the 4 bells from Jerusalem when Bel can help me with the posting. I had no clue who took it, it came by email and it was the first time we saw it. It sure does look like one of the pics you could have taken! Dearest Lieve Zus, I would love to see them and let Bel teach you how to post pics. It's pretty simple. Both of them are in my thoughts and prayers. You have to practise!!! hehe. You will learn, you are very smart, Lieve Zus! Lil Casey is having a cold as well. It doesn't seem to bother him. The only bad thing about it is, that I got to stay away from them so I won't catch it. It takes me months to finally get over it because of my decreased immune system. I miss them. Thanks for praying. Please if you will, continue to remember them in your prayers. Thanks so much, Lieve Zus. hi sis hope everyone is doing better! April and lil Casey are in my thoughts and prayers daily. Yes, I'll inform Lilia of your prayers for her. I had been trying to call Lilia long-distance for the past 2 hours. I'll try til I speak with her. Jon passed his tests. Thank you so much for your prayers. I hope you get to talk to her soon. I can only imagine how difficult this all must be and how much she can use the comfort and sympathy right now. Congrats to Jon! That is wonderful.